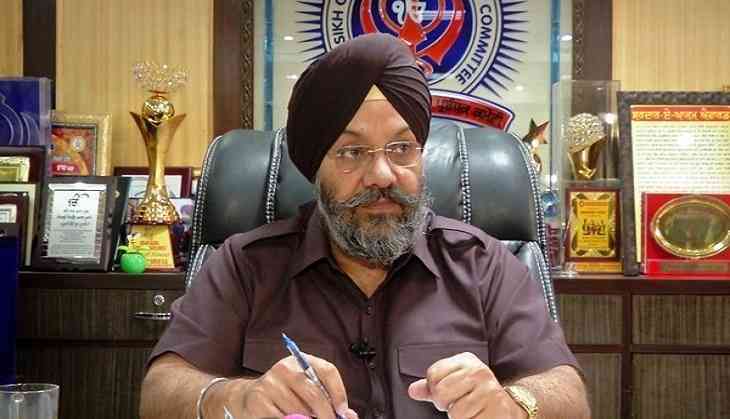 Akali Dal leader and Delhi Sikh Gurdwara Management Committee (DSGMC) president Manjit Singh GK was attacked by a group of unknown men at the Yuba City Gurdwara in California on Saturday. The attackers pushed Singh to the ground, causing his turban to fall off. His face was blackened and beaten by the men before he was taken to a place of safety. "I was attacked by 20 to 25 people. I was here at the gurudwara for paying my respects. These people did not even uphold the dignity of a gurdwara. I told my aides to not say a word and maintain peace. We will not be cowed down by all this (such attacks). I was first attacked in New York and then in California. I am not scared of these people, and I am safe," he said in a video. Meanwhile, Shiromani Gurdwara Parbandhak Committee (SGPC) president Gobind Singh Longowal condemned the attack and termed it as unfortunate. "It is very unfortunate that in America, Sikhs are being repeatedly targetted. This is the handiwork of such agencies, who want to instigate tensions among the Sikhs. It is the responsiblity of the US government to take strict actions against these people behind the attack. I condemn this incident," he told ANI. Union Cabinet Minister of Food Processing Harsimrat Kaur Badal termed the incident as "cowardly" and tweeted, "Strongly Condemn the Cowardly attack on unarmed @ManjitGK at the Yuba City Gurughar in complete disregard of Maryada and Sikhi! To these agents of ISI, the only way to get referendum is by attacking n intimidating Sikhs. No Sikh will ever be cowed down by your dastardly acts." Her husband and Shiromani Akali Dal (SAD) leader Sukhbir Singh Badal also wrote on the micro-blogging site, "I strongly condemn the cowardly attack on Manjit Singh GK. He was unarmed and paying obeisance at Gurughar where he was attacked by goons backed by ISI. @Akali_Dal_ has never cowed down to terror and will continue to stand strong on the principles of Sikhism!" This is the second such attack on Singh in this week. On Monday, the DSGMC chief and his family were allegedly attacked by Khalistan sympathisers at a TV studio in New York, following which he appealed to External Affairs Minister Sushma Swaraj for help and demanded action. There has been a spike in hate attacks against the Sikh community in the US. On August 16, a man identified as Terlok Singh was apparently stabbed to death on Thursday near the deli he owned at North Park Street and Burchard Avenue in New Jersey's East Orange. On August 6, a 71-year-old Sikh man was attacked in California's Manteca by two youths, one of whom was later identified as Union City Police Chief Darryl McAllister's estranged son Tyrone Keith McAllister. Both Tyrone and his accomplice were arrested. On July 31, 50-year-old Surjit Malhi was attacked in California when he was raising campaign signs in support of Republican candidates.